Saying goodbye to an animal member of your family - even if it is the last great gift you can give them to alleviate their suffering - can be a heartrending thing to have to do. In our long experience, and as animal lovers ourselves, we know that one thing which can help is to make sure that your beloved pet experiences no additional discomfort or distress at a time when they are already struggling. To this end, we have found that delivering caring pet euthanasia in your own home is the way to make things easier for everyone involved. First - and most importantly - for your pet, there is no need to have the added stress of managing a journey down to your local veterinary clinic. There are no cold metal tables. And they will be in the happy environment - the one in which they have lived the best years of their life. Then, for you, you will have the peace of mind which comes from knowing that your pet is getting the best care possible. That you are there throughout to hold them by the paw if you wish to. And that everything that can be done for them will be. Your In-Home Vet can talk you through the process of putting a dog down or putting a cat to sleep either by phone or in person. But it is important to know that your pet will feel absolutely no discomfort. The first injection they receive, which is merely a small amount of anaesthetic, is the tiniest pinching sensation. After this, they will be asleep. Talk to us about the process itself, or about cat euthanasia costs or the cost of putting a dog to sleep, whenever you need to. We understand that the need for this support can strike at any time, so whether you need to get urgent care for your pet or discuss dog euthanasia costs, we are always here to assist you. Sometimes you will need to simply fulfil a prescription for pet pain relief. We can help you there. But most of the time we prefer to take care of providing an exacting diagnosis which includes every aspect of your pet's life. This means their diet, their home environment and their exercise regime in addition to any conditions they may be suffering from. To do this, you will receive a visit from one of our friendly and helpful Mobile Vets. 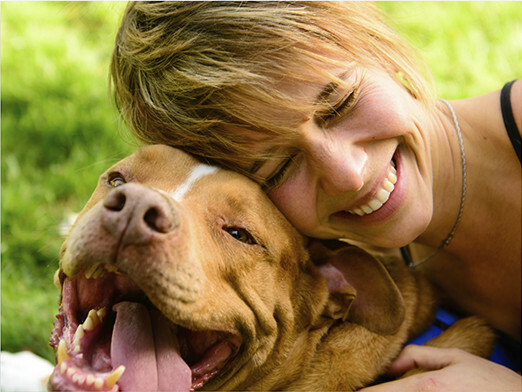 They will meet with your pet and assess their condition. This enables your Vet to prescribe the most effective pain relief for dogs and cats as well as suggesting any changes to their lifestyle which might result in an easing of their condition. You can rely on your Vet in cases where your pet is terminally ill and when they require palliative care at the end of a long and happy life. The pain relief for cats and dogs which we prescribe is the very best of its kind currently available and we only prescribe as necessary, taking into account other aspects of their life and sensible non-medicinal remedies such as a change of sleeping conditions or diet. You can discuss how to spot signs of pain in pets and pet pain relief which might be suitable for any animal members of your family with us at any time. Get in touch and we can talk with you about it over the phone before arranging for one of our highly experienced Vets to visit you in person. Trying to deal with the loss which accompanies the departure of an adored animal family member is incredibly difficult. As pet owners and animal lovers ourselves, we understand this all too well. We also know that attempting to make decisions and consider what happens next at the same time can make this difficulty next-to-impossible. So when you need to think about respectful pet cremation, why not let us take care of it for you? We can simply take your beloved pet away with us when we go, transporting them to our pet chapel of rest, which is situated close by. This pet chapel has been carefully converted to meet the needs of pets of all shapes and sizes and is an accredited animal cremation facility. There we undertake both group and solo cat and dog cremation ceremonies. The advantages and disadvantages of each are something that we can discuss with you at any time. But simply put, solo dog or cat cremation allows you to receive their ashes back for spreading wherever you wish. Group pet cremation will be followed by a shared ceremony for the spreading of ashes in the grounds of the chapel itself. Get in touch and find out anything more you need to know, including about pet cremation costs, at whatever time you feel you can face the conversation. We're always here to help you. 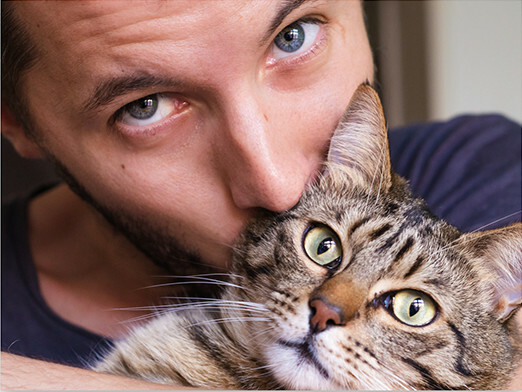 Your pet might not be recognised as having been "officially" a member of your family, but like us, you will know that they were in all of the most important ways. This makes selecting a suitable memorialisation for their life and the love and company which they provided something which many families choose to do. Getting the right pet memorials can be a task which provokes sad thoughts and grief in the aftermath of your beloved pet's passing though. So we have brought together a small range of memorials for pets, including stones, markers, and various containers for ashes. You will not need to go traipsing around the local area looking for "just the right" pet memorial at a time when you really want to be doing everything you can to deal with your emotional reaction to what has happened. Do you have something specific in mind? Please do get in touch with us whenever you feel up to the conversation. We might be able to point you towards the relevant part of the range we have or source something for you. Cloud 9 Vet Services are Currently Not Available in Kirkcaldy - Please email us and we'll notify you when we open.